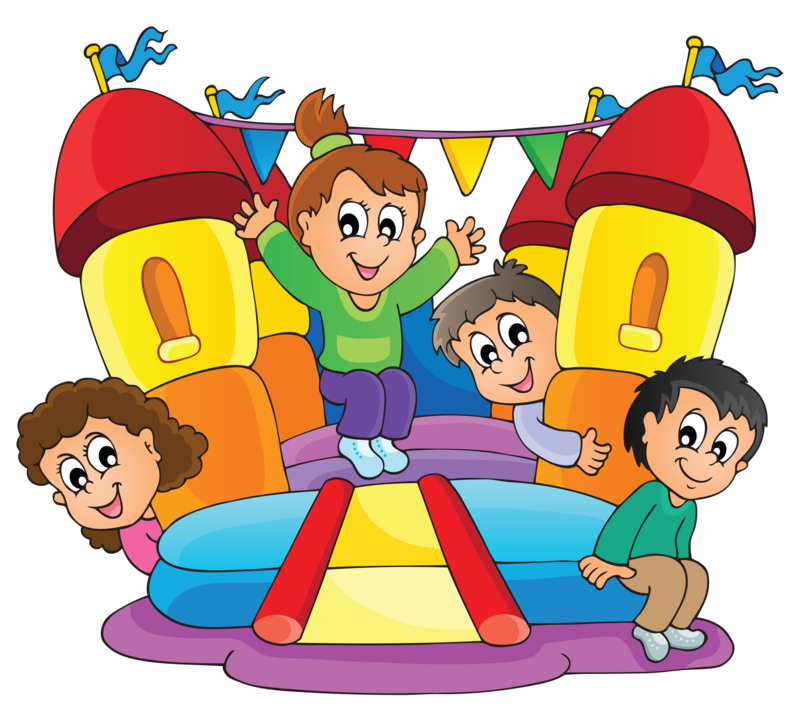 WE WILL NOT SET UP ANY INFLATABLE IN UNSAFE CONDITIONS!!! YOUR CHILDRENS SAFETY MEANS TOO MUCH TO US!!! This is not limited to rain, but also includes, wind and temperature in the colder months outside. If the rain is just a drizzle and will clear up, we will give you the option to keep the unit(s) or cancel. We will set up our units on tarps to protect your kids and yard. If the rain is coming in and it will be a rain out, then we do reserve the right to cancel all outside parties. HOWEVER, we will NOT cancel unless it is our last resort. We know your children are excited and we do not want them to be disappointed on their big day!! But safety is first!! Wind will play a big roll in your event as well. We always set up our unit(s) by safety protocol, but wind and wind gusts are unpredictable!! Wind at 15 mph is not safe!! Even though we set up our unit(s) properly, at these winds they can still be tossed about or even picked up and thrown about. So for your safety and your children's safety, we will not set up any inflatable with wind speed above 15 mph!! Site Preparation is the Customers Responsibility and must be done prior to Harvest Party Rentals arriving! Customer MUST make sure setup site is ready, (i.e. lawns mowed, vehicles/obstacles out of the way, animal feces removed, sticks/tree limbs, setup location cleared) before driver is scheduled to arrive. If the site is not ready or accessible when the driver arrives, or if rented equipment cannot be moved directly on site (delivery crew IS NOT/CAN NOT be responsible to remove or help remove anything from site area) the customer may be charged an additional fee. If site is not prepared driver might be forced to leave and reschedule your delivery at a later time, in which case a fee might be applied. Underground Utilities: Please be ready to inform driver of the existence of any underground utilities (i.e. phone lines, gas lines, septic system, water, landscape irrigation, etc. ), that may interfere with the ability to stake and/or anchor equipment. Customer assumes responsibility for any damage to underground equipment, or landscaping resulting from equipment installation. Electricity is the customers Responsibility! NOTE: Providing adequate electricity is solely the customers responsibility. Customer must make sure there are an adequate number of electrical outlets(1 20amp breaker per blower), with sufficient power, to keep the units working properly. If there are no electrical outlets available at the setup location (i.e. parks, fields, parking lots), then a generator will be required, either the customers being 5500watts or more for 1 blower, or renting one from us (ask info about watts for more units). Electricity Outlets: Electricity outlets must be capable of providing a dedicated minimum of 20 Amps for each blower. Make sure the electric outlet you intend to use is equipped with a (GFCI, most new electric outlets are). Please check all electricity outlets you plan to use for Harvest's equipment to ensure there will be an adequate supply of electricity. Insufficient electricity can create major problems during the course of the rental period (i.e. setup delays, constant deflation, unsafe conditions), therefore, we urge all customers to make preparations and exam electricity outlets to make sure they will provide sufficient electricity. Extension Cords: Please note, Harvest supplies (1) 100ft 12/2 wire extension cord per blower. If your unit is farther then 100ft from a outlet, you will need to move it closer or have a generator with specific details as listed above. For safety we can not go farther than 100ft. Water Units: Water units cannot be setup at a park unless a designated water supply is available, something that parks may or may not provide for their guests. It is the customers responsibility to find out this information prior to making your reservation. Harvest will not supply water hoses!! It is the customers responsibility to have a water hose to run from your water source to our water unit. We still set up unit(s) outside weather permitting all year round. However when the temperature falls below 35 degrees our unit(s) can become damaged. We will not set out in freezing temperature outside. If you have an event scheduled in the winter months and it becomes icy or we have a large snow fall, we will do everything we can to deliver with safety being first priority for our customers as well as our drivers and workers. In for any reason you need to cancel an event, we ask that you do so as soon as possible!! If you have a cancellation and you have pre-paid, you will have 6 months to reschedule your event at no charge. ALL deposits are non-refundable, However if you reschedule your event within 6 months, your deposit will be applied to your next event (must be likewise equipment). Wedding cancellations must be done 2 weeks prior to events delivery date for refund on your event. All weddings will have a non-refundable 50% deposit.